Repairing the damage in the concrete paver is considered as a cost efficient method. This is a lot more affordable than the replacement and dig out of the concrete surface. The costs may be more expensive if you have to deal with a relatively large working area. Therefore, going for the repairs may be considered as the best way to go around it. The advantages of using the concrete paver for the walkways, patios, driveways, pool decks, and the roof decks is the fact that you can easily replace and remove them if they have been damaged. If you think that your concrete pavers are loosened or cracked, it is perfectly, possible to replace them with brand new materials. You may cut and fit them to meet the specific width and size. This is important so the changes in the concrete pavers will remain unnoticed. 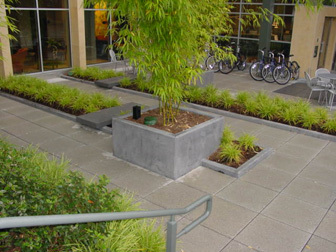 The concrete paver repair typically go perfectly well with the maintenance procedures. It is essential to maintain the surface of the concrete pavers. This is important because this can make the repair procedures a lot easier. In other instances, you can even prevent the need for concrete paver repair. In the long run, this can help you save a lot of time and money. You have to reseal and seal the pavers regularly. This can help protect the surface from the effects of frequent animal and human traffic. Aside from that, these procedures can help you protect the surface from damage caused by stains. For the emergence of the potholes and cracks, you should replace or fill the pavers as soon as possible. This can help you prevent further damage from taking place. To help you remove the debris and other dirt inducing particles on the surface, you have to pressure clean or sweep the paved surface regularly. After harsh weather conditions like snow and rain, you have to check out the area regularly. Resealing and sealing the paved area may be considered as the most effective and most important procedure for maintenance. Coating using a sealer can help enhance the color brightness of the surface. This can last for a long time. 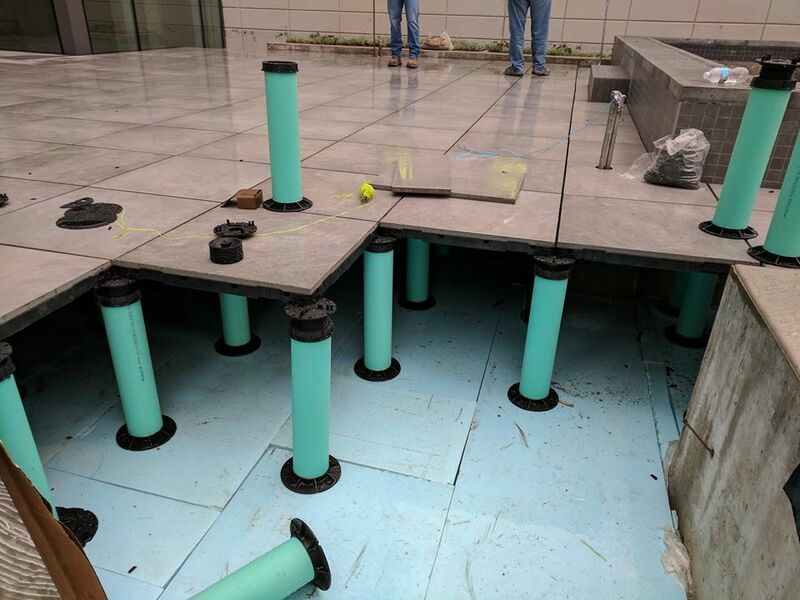 Some things that may need repairing, when it comes to concrete pavers are; chipped concrete, deteriorated concrete, corroding reinforcement steel, patch ups and potholes and cracks. Repairing concrete damage is more cost efficient than having to dig out and replace the concrete. This can be quite expensive if you have a large concrete area. So, having a go at repairs might a worthwhile option. 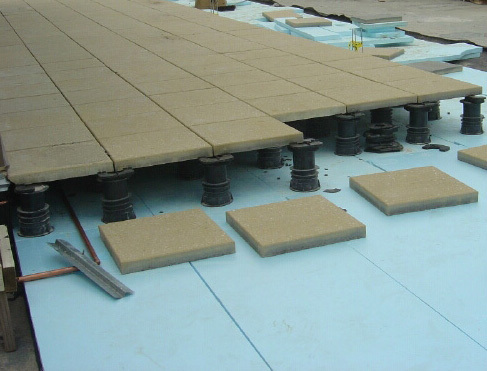 The advantage of using pavers for roof decks, pooldecks, driveways, patios and walkways, is that they are easy to remove if damaged and easily replaced.If you find that your pavers have been cracked or have loosened, it is possible for them to be replaced with new pavers. They can be fitted and cut to the correct size and width, so that the repairs are not noticeable. Maintenance and repair go hand in hand. It is important to maintain your pavers, for it can make repairing much easier, and even sometimes help prevent it. Inspect your paved areas on a regular basis, particularly after harsh weather like rain or snow. Regularly sweep or pressure clean your paved surfaces, so as to remove materials and debris. By maintaining your paved areas, you are pro-longing the life span and overall appearance of them. It can also help protect your pavers from needing too many repairs. Sealing and re-sealing your pavers is the most important and effective maintenance procedure. The coating of sealer will enhance the brightness of the color of your pavers, and it will enable the pavers to maintain that brightness over a long period of time. The sealer will also enhance the strength and durability of your pavers, for the protective coating prevents cracks, chipping and loosening of your pavers. It gives the pavers a harder surface with a higher level of density. This is particularly important if the pavers are installed in a high traffic area.Sealer also enables you to clean off stains and marking with greater ease, for the sealer coating prevents substances from being absorbed and penetrated into the pavers. Overall, sealing has so many benefits, which is why it is a recommended maintenance procedure. Loose pavers are not only unattractive, but they can also cause injury to those walking over them. Someone may trip over a loose paver and cause injury to them. So to avoid a situation like this one, here is a quick guide to repairing loose pavers.